The I-want-free-advice syndrome was once called the “Doctor Syndrome” or “Expert Syndrome.” I have recently heard it referred to as the “unsolicited advice” syndrome, because there is a new version that involves shaming the expert in to giving free advice. Occasionally those of us with expertise in an area of interest, which certainly include doctors and lawyers, are faced with tough decisions involving rules, regulations, laws and conflicts of interest. We are all guilty of these ethical violations in one way or another. On an airplane you discover your seatmate is a doctor of osteopathic medicine; not five minutes have gone by and you are telling him or her about all your aches and pains and seeking advice. My daughter, a clinical psychologist, says this frequently happens to her, but legally it is not a syndrome, although it could certainly be described as a phenomenon. I mention this phenomenon because for position, navigation and timing (PNT) issues, it is growing at an alarming rate. For instance, my 10-20 emails per day asking about PNT issues have grown over the past few weeks more than tenfold. 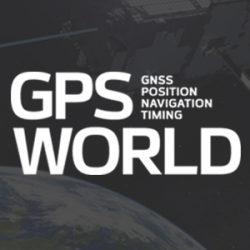 I perceive that many of you are confused and concerned about the future of GPS, PNT and GNSS in general. Artist’s concept of the nextgen GPS III satellite (courtesy of the USAF). I spoke independently with representatives from both Harris Corp and Lockheed Martin, and they expressed the same opinions. Work is progressing toward a launch of the first GPS III SV hopefully sometime in 2017. For those of you who have not been keeping up, the three Phase 1 contracts were in the amount of $5M to each company. LMCO is included in the competition and was one of the three companies. To go into a bit more detail, the three GPS III awards are firm-fixed-price contracts that are not-to-exceed $6 million; the base contract plus two $500,000 options. The base contract period of performance is 26 months, and each option extends that time by six months for a total period of just over three years or 38 months. The USAF has issued an artist’s concept of the GPS III satellite, but seriously, I have listened to the proposals from all three companies in detail, and the proposals are all so radically different that the picture is just that, an artist’s concept, it may not even be close to reality. Certainly, $5-6M is not much money in the scheme of things, certainly not enough to design and build a GPS satellite from scratch, but it is a show of good faith on behalf of the U.S. government, proving they are serious in their search for a new and improved PNT satellite in the GPS III family. Next-Generation Operational Control System (OCX). The original OCX contract was awarded for somewhere slightly south of $900M for a six-year total effort to deliver a new Full Operational Capability (FOC) ground control system for all GPS satellites except the long-lived GPS IIAs. The federal government, having watched programs like OCX go south before, took the Raytheon bid and quietly doubled it and assured everyone they had the program well in hand. The government assured us time and again that OCX would never breach Nunn- McCurdy levels as they planned for double the cost. Smart move, but OCX costs finally reached double the original estimate plus 25 percent, which triggered the Nunn-McCurdy breach on June 30. My sources tell me that a realistic date for OCX FOC, based purely on past performance, software issues and cyber-security concerns, is 2023 with a total cost of $4.2B. This may all be academic if OCX cannot clear the Nunn-McCurdy hurdles. What the Colonel meant to say — my words, not his — is that we (the U.S government) are finally hedging our bets. 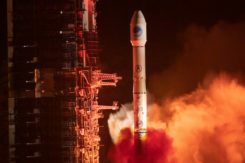 Just in case OCX does not come to fruition, both for launch and operations, we know we need to put a GPS III satellite on orbit soon so we can check it out before all the satellites are produced and sitting in a warehouse and we discover a major anomaly. We are running out of time. If all of the GPS satellites are produced (and there are only six or eight more to be built under the current contract depending on the future award schedule), and not one of them has been launched, then the program is in trouble. If LMCO does not win the follow-on contract, then the GPS III production line will be shut down at LMCO and experts scattered to the winds. Spare parts for a satellite in storage will be hard if not impossible to find, much less repair or install. If the first GPS III satellite is not launched until after production ceases and a major flaw or anomaly is discovered, then the government’s options are slim to none. To prevent a worst-case scenario, the government must launch a GPS III satellite, and soon. Certainly a date in 2016 is preferable, but a 2017 date will suffice, according to my sources. However that is doubtful with an OCX-based launch program that has yet to launch a satellite. Approving the final test articles is a big deal for MGUE because it not only puts the products in the hands of operational integrators and users, but opens the door for a multitude of changes necessary to incorporate the latest up-to-date technology. 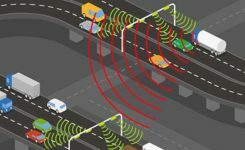 This technology hopefully includes the use of GNSS signals and capabilities as well as other PNT signals and augmentations that can now be incorporated. By the way, the congressman at the fundraiser dinner that I mentioned at the beginning did a credible job, but managed to get most of it wrong. But then, congress has so much more on its plate than GPS. That’s why the real experts need to make sure they keep everyone informed. Wooldridge and Ramo on the cover of Time Magazine, 1957. I hate to end on a sad note, but I must acknowledge the passing of a legend in the aerospace industry. Dr. Simon “Si” Ramo, who I knew well and worked with for many years early in my career, passed away on June 27 at the age of 103. Si, who held two doctorates, was already a leader in the aerospace industry when I was born, and I credit many of his well-known books (he was a prolific author) for drawing many a young person to space, rockets, the dynamics of space launch, and engineering. Si cofounded TRW Inc. in the late 1950s by taking two companies — Ramo-Wooldridge and Thompson Products — and leading them into the ICBM (Intercontinental Ballistic Missile) world. He was a tireless promoter of the space industry. The world will not soon see another character, gifted leader and entrepreneur like Si Ramo. Until next time, happy navigating, and remember: GPS is brought to you free of charge by the United States Air Force. 3 Comments on "The GPS Update Syndrome"
For a significant portion of my career a big portion of it has been giving good advice, very often to customers of my employer relative to systems that they were seeking to purchase. Giving correct advice does become a first nature to some of us. Presently I still give “good advice” to a lot of people who ask for it, but there is no financial exchange. Part of that is in an informal expertise-interchange agreement group, and that benefits all of us. But with those I don’t know we often wind up talking about the others profession because usually they are more comfortable on a subject that they know well. “Free advice”, without understanding the qualifications behind it, is often only worth the purchase price. Now this article does point out some very serious challenges and brings up a even more serious concern abut the whole program. That was the point about trying a few satellites first, before the rest were produced, to verify that they functioned as desired. The time to find those problems is in the paper stage, before any metal is cut or any connections are soldered, not after the product is built and delivered. That is what engineering is for. What I did not see was much mention of just what the benefits of the new and improved system is supposed to deliver. I am assuming that they include means to reduce the effects of spoofing and jamming, and possibly to increase the accuracy. Late and over budget are predictable results of many standard DOD acquisition methods. That is due in part to what my business finance professor called “inverted motivation in the middle”. Politicians, portfolio managers at DOD AT&L, and company executives all benefit from increased cash flow sustained for longer, i.e., late and over budget. The principle tools include using cost and schedule constraints to drive poor quality (rework) and poor integration (testing delay) into the development process. Further, the shareholders are able to sue company executives who might be bold enough to spend profit to reduce revenue or shorten cash flow streams and Sarbanes-Oxley drives that down into the companies to lower level managers.